“As the medical marketplace increasingly values safe, durable and reliable devices that make an emotional connection with users and recognizes design as a competitive advantage, it’s grown more important for materials suppliers and designers to work together,” says Gopal Saralya, global industry leader at Eastman. Materials samples haven’t changed in decades. 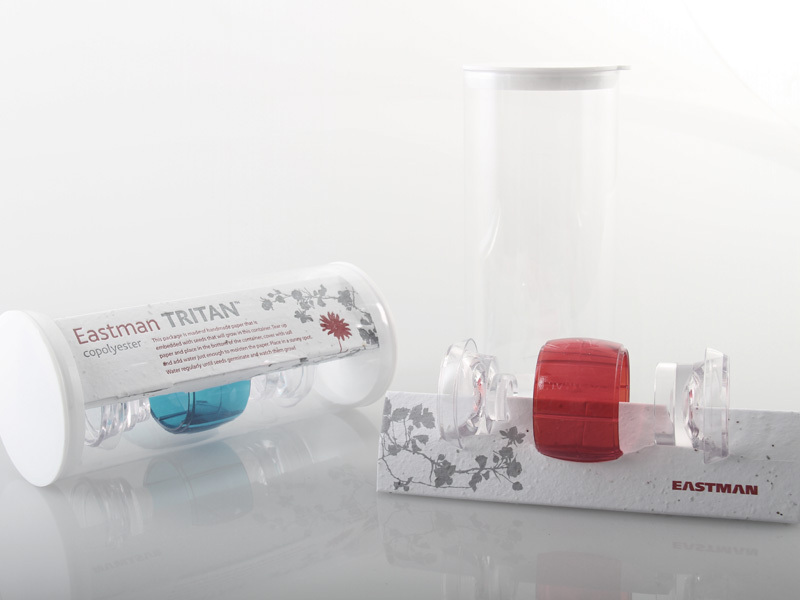 Now Eastman Chemical Company has a 3D interactive sample for their Eastman Tritan™ material that engages at several levels. The resulting double-dose cup (DD Cup) will be on the office desk or in the kitchen drawer—not thrown in the trash. DDSTUDIO’s extensive work on body-worn medical products led to the development of specific formulations of Tritan for harsh hospital environments and contact with the skin. Eastman wanted a way to educate to the development community about the capabilities of this new material that would at the same time encourage discovery and promote everyday use. The result: the DD Cup. Our biggest challenge was in changing the status-quo from flat graduated chips to a 3D incarnation, but it was immediately accepted. 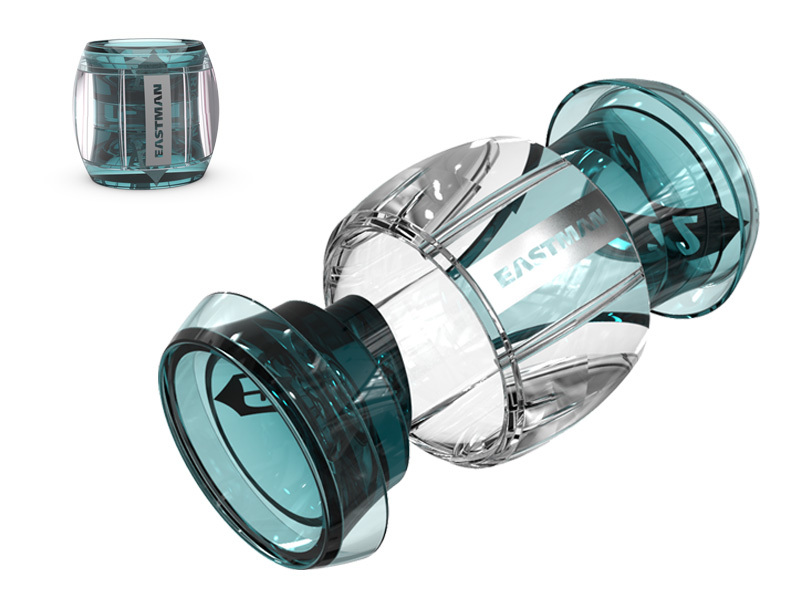 The “stiction” component that holds the three pieces together and the Tritan based packaging add to the value of the piece for Eastman, and pique interest for the user. The most exciting projects are the ones where we create our own opportunities and restrictions. This was an open brief for us, and allowed our team to explore the field with an uninhibited and boundless approach. The DD Cup became a useful, durable, and reusable technical meeting takeaway and tradeshow giveaway for Eastman. It has shown benefits with developers specifying more Tritan™ resins and films. It stays with you from the office, where its durability allows you to throw it on the floor to disassemble, to home, where it is used to dispense medicine and can be run through the dishwasher. 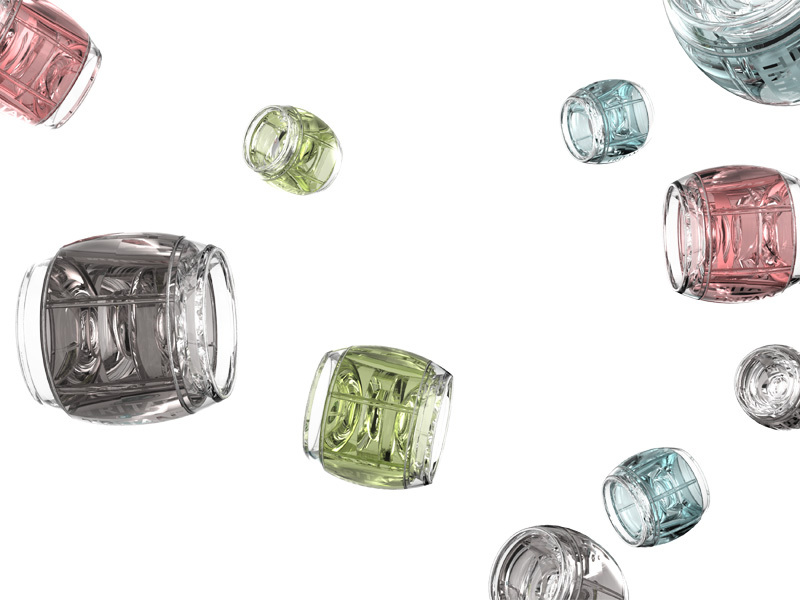 The DD cup is BPA-free and retains its clarity over time. The packaging, made of seed paper, can be planted in the garden and basil sprouts. DDSTUDIO took on the design strategy, brainstorming with the client, industrial design, graphic design, packaging, mechanical engineering, and throughout the process we fortified our deep relationship with Eastman Chemical Company.